Résidence Eureka Val offers 18 spacious and comfortable apartments. The apartments boast a traditional design with lots of wood and are situated on different floors. There are 4-person apartments (FR-73154-02) with one bedroom, 6-person apartments (FR-73154-01 and FR-73154-05) with one bedroom and a sleeping alcove with a bunk bed or two bedrooms (of which one smaller) with a double bed and a bunk bed, 6/8-person apartments (FR-73154-04) with two 1-person sofa beds, one bedroom and a sleeping alcove with a bunk bed, 8-person apartments (FR-73154-06) with two bedrooms and a sleeping alcove with two single beds. and 8-person apartments (FR-73154-03) with two bedrooms and mezzanine with two separate beds and one trumble for two persons. All apartments have a 2-person sofa bed in the living room except the 8-person apartments with a mezzanine. 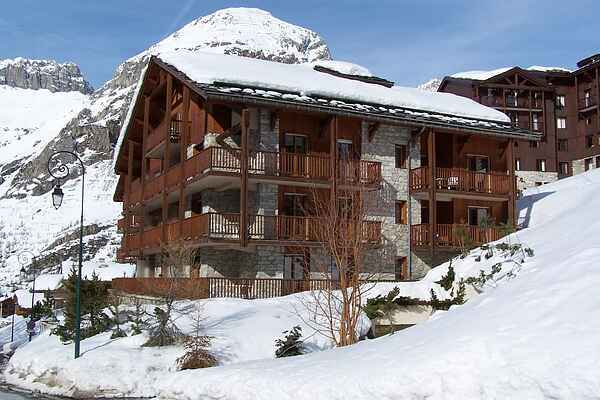 They always include a balcony or terrace, ski storage and free WiFi as well. There is a lift in the residence.